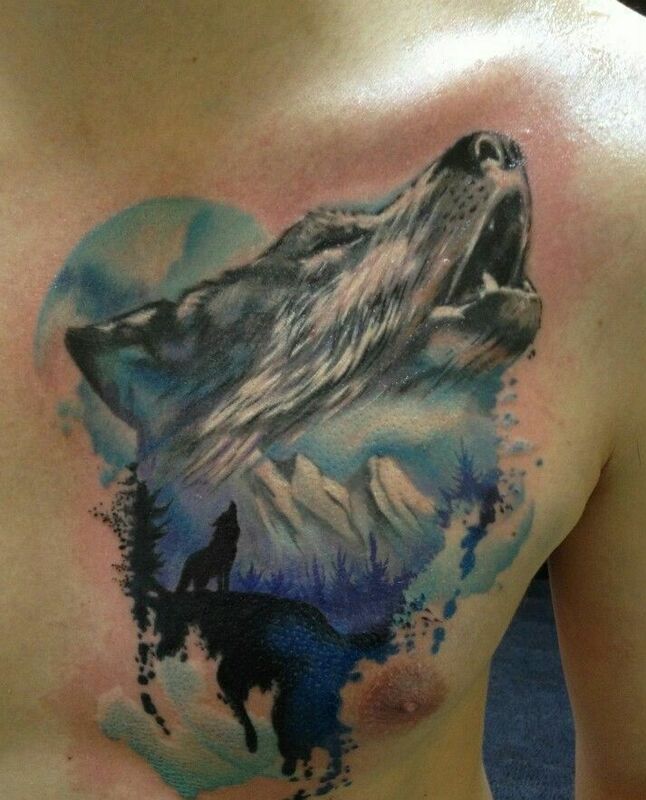 The wolf is a dynamic creature, representing both evil predators and noble warriors. They have a special air of mystery, and they’ve stood as powerful characters in many works of literature and film. Below, we’ve put together a wolf tattoo dictionary, explaining the meaning behind each of these wolf tattoo designs. 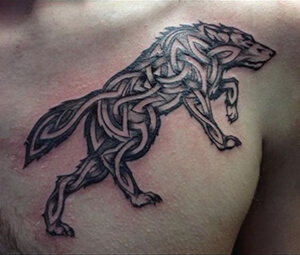 Celtic Wolf: known as the protectors of the woods, the Celtic wolves protected faerie realms from dangerous outsiders. 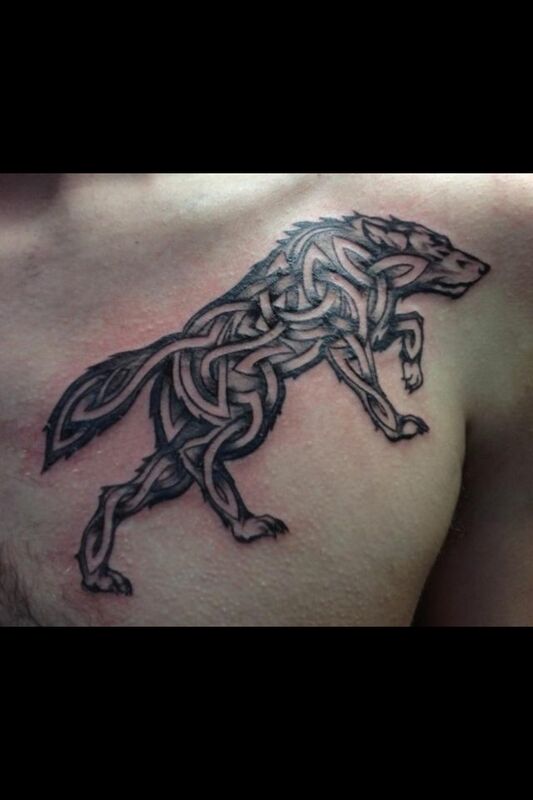 The Celtic wolf tattoo has strong connections with nature. 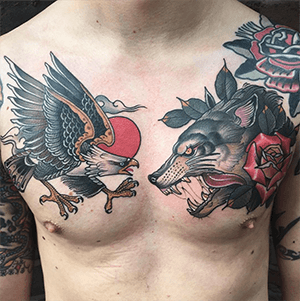 Eagle and Wolf: as two of the strongest animal spirits, the eagle and wolf combined in a tattoo design represents power and freedom. Since these two animals are common in the United States, they also stand as patriotic tattoo designs. 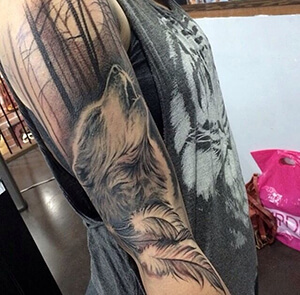 Feather and Wolf: combined with the feather, this wolf tattoo design represents Native American culture. It symbolizes the beauty and harshness of nature. 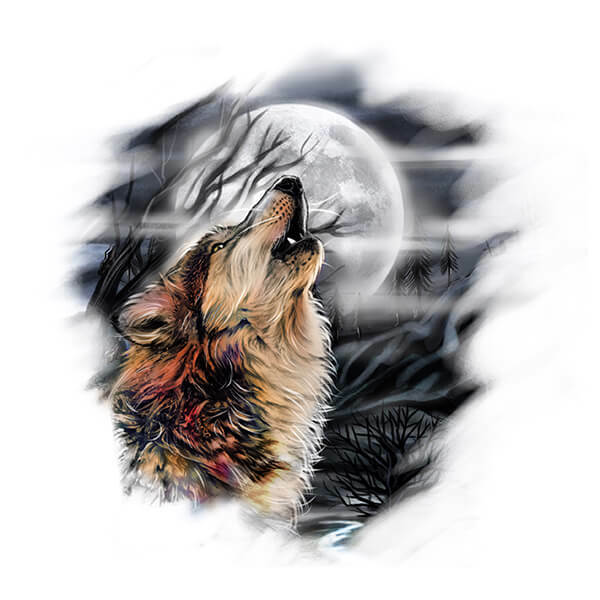 Howling Wolf: alpha wolves are known for howling at the moon, to communicate with the members of their pack. As a tattoo design, the howling wolf represents strength, free spiritedness, and a connection to the wild. Japanese Wolf: in Japanese culture, wolves symbolize Shinto gods and divine messengers. 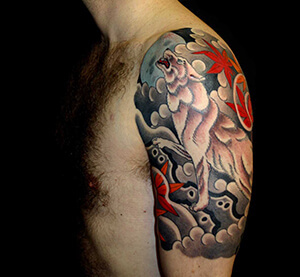 As a tattoo design, a Japanese wolf stands for respect and kinship with heavenly powers. 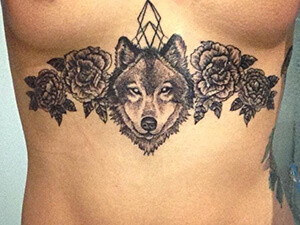 Rose and Wolf: as a classic symbol of romance, the rose tattoo design paired with the wolf stands for romantic love. As wolves are monogamous by nature, these tattoos also represent devotion to a companion. 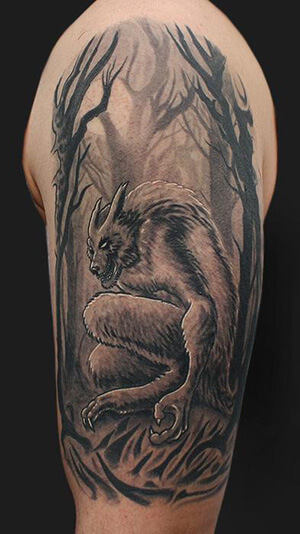 Werewolf: the mythical werewolf tattoo design celebrates horror and fantasy film culture. The werewolf represents both evil and misunderstood heroes. Wolf Headdress: in many Native American cultures, wolves are respected as spirit guides and they’re seen as protectors of souls in the afterlife. 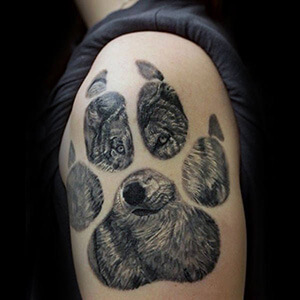 Wolf Paw: the wolf’s paw print is a tattoo design that represents Native American tradition. The wolf’s paw symbolizes moving forward or being guided along the right path. With deep ties to Native American and Japanese culture, wolves are powerful symbols, and they make outstanding tattoo designs. Whether you’re interested in romantic or spiritual themes, wolves represent a variety of ideas and themes that resonate with you personally. 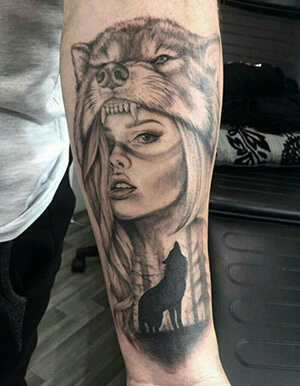 If you know of any other interesting wolf tattoo designs, let us know about them in the comment section below!